The idea of luxury has evolved in the most wonderful direction in the last ten years. Luxury’s exacting standards of absolute perfection have softened to embrace the distinctive qualities of handmade. When you think of luxury for the home and the interior, it has a specific definition that is more open minded and more earth bound. Luxury today is filled with artisanal goods. The illusion of what constitutes luxury, high thread counts for example, is changing. This is wonderful progress. People are starting to trust more in what they find luxurious: because of the slowed US economy, people want long lasting; because of the impersonality of the digital age, people want sui generis, they want it just for them. In trends in luxury, our biggest challenge is what I have started to call “The Beige Coma.” In the past 5 years, a trend has erupted of the home being cloaked in shades of beige and I feel like it is so… safe. Safe and inside the box. The beauty of luxury—and we see this in fashion—is its ability to tie the simple with the extreme, the old with the new….Innovation. That is what I feel Anichini offers and why we stand apart. It would be nice to see more in the luxury market that works outside the box in this way. There is also building interest in natural products that may play off the “Beige Coma.” People want green, natural products. My customers come here for the fact that we offer natural fabrics that fit this need. Our True Story Collection, for example, is a series of hand loomed fabrics all made from untreated, undyed silk. 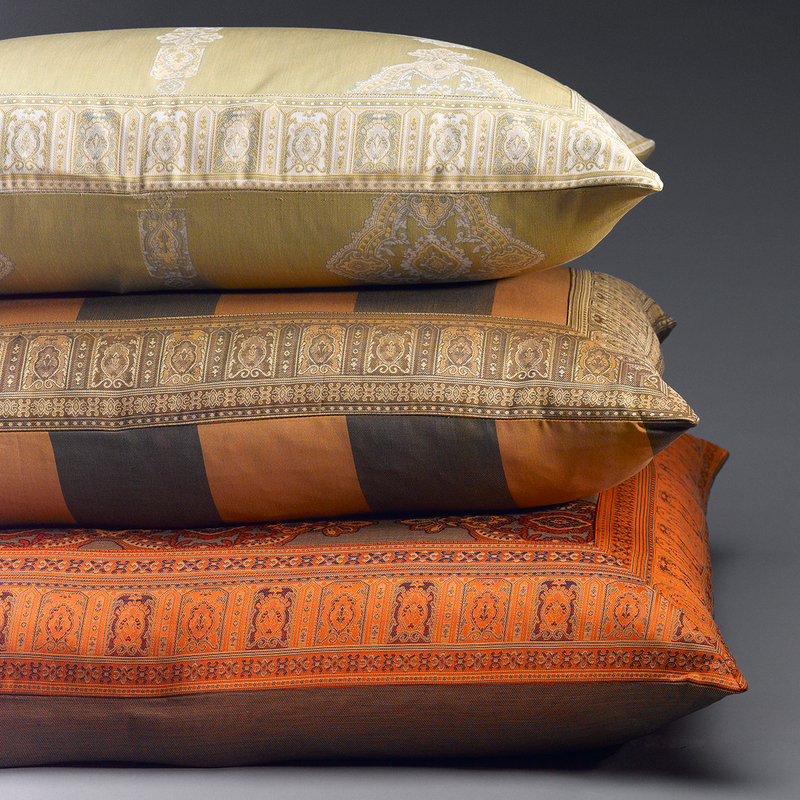 On the other hand, our Taj Collection meets the call for more vibrant colors in natural fabrics. The brilliant colors and high quality of this cotton textile have become a trademark Anichini pattern and example of our innovative choices. Instead of altering our product for greater profits, we have continued its level of excellence. We remain competitive by continuing to bring new and interesting products to the market while recognizing honestly the challenges that we all face. Not giving in is what makes ANICHINI stand out. It has been difficult, but it suits our mission to bring the world the most beautiful and well made products on earth. Standing our ground and continuing to evolve in this direction is what we mean by enlightened luxury.